Thailand means "Land of Free" and many have described Thailand aptly as the "Land of Smiles". It is located in the heart of the Southeast Asian mainland and spans across an area of 513,120 square kilometers. The estimated population as at 12 Jan 2019 stands at 69 million people. About 95 percent of its population is Buddhist. The country is divided into 4 distinct areas - the mountainous North, the fertile Central Plains, the semi-arid plateau of the Northeast, and the peninsula South distinguished by it’s many beautiful tropical beaches and offshore islands. Its climate is humid and hot throughout the year, average temperatures about 29 degrees Celsius. There are three distinct seasons - the cool season from November to February, the hot Season from April to May and the rainy season from June to October, though downpours rarely last more than a couple of hours. 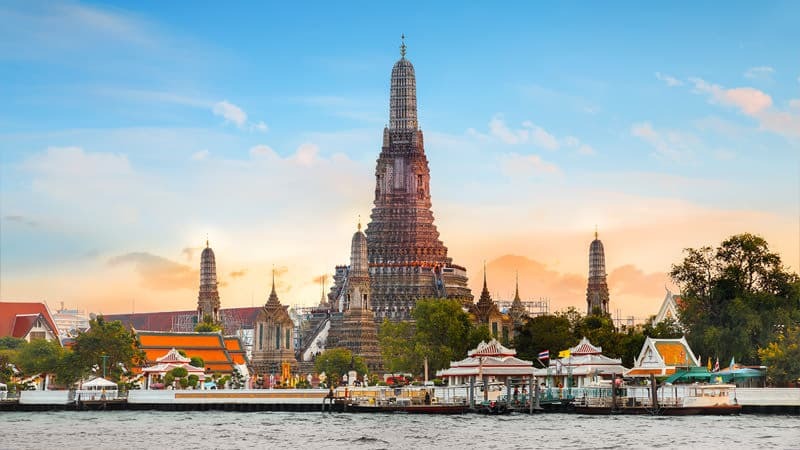 Bangkok is the capital city, a city that combines ancient traditions with modern cultural diversities. It is accessible by more than 95 of the world's major airlines and the city has over 89,000 luxury, deluxe and standard-class rooms available. Thai is the national language. English is widely understood in the cities. MEDICAL FAIR THAILAND will be held at BITEC in Bangkok. More information about the venue here.